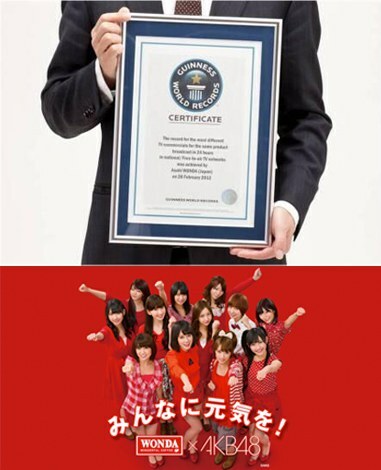 Back in February, AKB48 broadcasted 90 solo member�s CMs for Asahi�s �Wonda Coffee Morning Shot� and has now received a Guinness World Record for broadcasting the �Most Number of Same Product Television Endorsement within 24 Hours�! The broadcast of all 90 versions of the CM (restricted in Kanto, Kansai, Tokai region) took place on February 28th, and defeated the previous Guinness World Record for broadcasting 60 commercials in 24 hours. 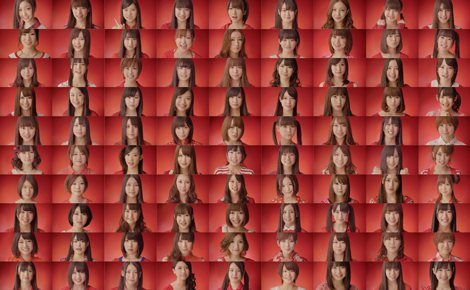 This endorsement, became a hot topic as it featured every single member of AKB48 (members of Team A, Team K, Team B, Team 4, and Research Students) and sent out encouragements to Japanese citizens nationwide. This CM is still currently airing as of this announcement. Congratulation for this incredible feat, AKB48! Yamashita Tomohisa chosen as image character for "PUMA SOCIAL Campaign"